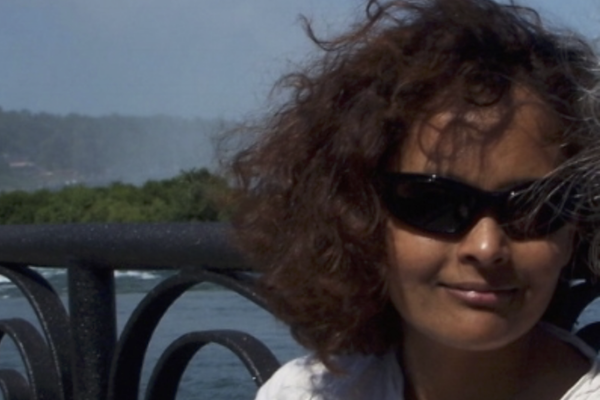 Surekha Davies is a cultural historian specializing in science, visual and material culture, and the entangled connections between Europe and the wider world, particularly the Americas. She is currently the InterAmericas Fellow at the John Carter Brown Library. She formerly taught at Western Connecticut State University, where she was awarded tenure and promotion to associate professor in 2018. Her first book, Renaissance Ethnography and the Invention of the Human: New Worlds, Maps and Monsters (Cambridge University Press, 2016; paperback, 2017), won the 2016 Morris D. Forkosch Prize for the best first book in intellectual history, awarded by the Journal of the History of Ideas, and the 2017 Roland H. Bainton Prize in History/Theology, awarded by the Sixteenth-Century Society & Conference. It was shortlisted for the 2018 Pickstone Prizeby the British Society for the History of Science. Her website is surekhadavies.org. I’m reading two new books, among other things. One is Martha S. Jones’s Birthright Citizens: A History of Race and Rights in Antebellum America (Cambridge University Press, 2018), a gripping account of how African American activists in the nineteenth century reconfigured how Americans imagined the concept of citizenship: these activists argued that they were guaranteed by birth all the rights of US citizens. The other book is Molly A. Warsh’s American Baroque: Pearls and the Nature of Empire, 1492-1700 (UNC Chapel Hill, 2018). This book uses the movement of pearls around the Caribbean basin and through global markets to weave together an interconnected history of empire, labor, economies, ecologies, taste, and material culture. Lorraine Daston and Katharine Park’s Wonders and the Order of Nature, 1150-1750 (Zone Books, 1998) is the ultimate book that keeps on giving. It offers an extraordinary window into European scientific thought through how people imagined the notion of wonder: as an emotion, as a cognitive faculty or thinking tool, and wonders as natural and artificial beings and things that prompted the emotion of wonder in the viewer. I first picked up the book in 2003, at the start of my doctoral program, and its principles still undergird my work. Daston and Park reveal how following historical sources no matter where they take you, rather than drawing arbitrary lines around disciplines, topics, or geographical fields which change over time, leads to a much richer understanding of how past cultures made sense of the world. I became a historian because I watched too much Star Trek and Cosmos as a child. From about the age of seven, I wanted to become an intergalactic explorer, to meet extraordinary life-forms, to travel faster than lightspeed and then go back in time and meet myself and, generally, to have my mind blown. When I started out as a undergraduate at the University of Cambridge, I was a physics major seeking to specialize in astrophysics. When we got to quantum mechanics towards the end of the first year, I (and everybody else) conceded that faster-than-light space was, alas, unlikely to be invented any time soon: anyone who got into physics in order to be captain of the USS Enterprise had to re-think their life choices. Many of us switched out of physics into disciplines that seemed more likely to offer the intellectual adventures we were after (also biologists who had spent too much time watching Jacques Cousteau and imagining that being a biology major would be all scuba diving and shark cages). A lot of us switched to history and philosophy of science. Pretty soon I realized that the creative analytical brainstorming – and writing– that I most wanted to do fitted perfectly with currents in early modern cultural and intellectual history and history of science. It varies with period and subfield (cultural/intellectual, social, political, and so on). If you work on cultural history or on the history of science or of ideas c.1200-1800, for example, it helps if you are invested in exploring how processes of close reading – of texts, images, or material artifacts – and practices of writing and re-writing constitute analytical work. Put another way, to better understand how and why people who lived half a millennium ago made sense of the world, you have to be prepared to experience your sources deeply, and to go where they gesture, and not go in with preconceived notions of how society, gender, science, or politics are supposed to work. To paraphrase the prolific cultural historian Keith Thomas, smart people believed in witchcraft in the early modern period; our job is to understand why. To do so, historians have to hunt in all manner of material traces of the past (books, manuscripts, images, objects…) to think elastically and most importantly to write paragraphs, chapters, and dozens, even hundreds, of pages. Practicing history well is the opposite of the discrete ‘this, this or this’ of the world of multiple choice exams and lists of names and dates through which the layperson might imagine the discipline of history. Understanding the past involves mental stamina and breadth. My favourite history teacher wasn’t officially one of my teachers – it was Julian Swann, professor of early modern history at Birkbeck College, at the University of London, and a specialist of eighteenth-century French political history. Julian gave me my first regular teaching gig, as the teaching assistant leading the seminars for his European History, 1500-1800 undergraduate class, while I was writing my doctoral dissertation. At the time I found political history rather boring: I was much more interested in the history of ideas than in monarchs, battles, or statutes. I had trained as a historian of science as an undergraduate, rather than as a straight historian, so politics was context rather than the central object of study. Julian’s early modern Europe course integrated cultural, intellectual, social, political, and religious themes; his was a cultural and intellectual approach to political history, and it made themes that I had not found terribly exciting before – such as political revolutions or religious change – vivid in their own right. In 2012, when I was an assistant professor at Western Connecticut State University, I taught an upper-level class on the cultural history of monsters from antiquity to the eighteenth century in Europe; it became my most popular class. Something that was surprising, memorable, and rewarding was how the students bonded with two of the set readings: Merry Wiesner-Hanks’s The Marvelous Hairy Girls: The Gonzales Sisters and Their Worlds (Yale UP, 2009), which is about the lives and responses to a sixteenth-century family, many of whose members had a genetic condition which covered their bodies, apart from their faces and the palms of their hands, with hair. Various family members were brought up at court, prized for the unusual physical condition that led viewers to ponder whether they were human, animal, or something monstrous and in-between. The other book was Daston and Park’s Wonders and the Orders of Nature, which I mentioned earlier as my favourite historical work. Students talked about the effect of the physical books on their learning experience, on people who saw them reading the books – both of which carry illustrations of Lavinia Gonzales, one of the hairy children – and related conversations they had started up with friends, family, and strangers who were intrigued by the titles and by the hairy face, framed by a ruff, on the covers. The enormous Wonders book was lovingly nicknamed ‘the brick’; students would unconsciously stroke the cover in class; and their empathy for those individuals who were imagined as monstrous in pre-modern Europe was inspiring. I would like to see greater boldness in undergraduate curricula. At the cutting-edge of research, the discipline is tremendously varied in its questions, sources, methods, and scope. However, the overriding structuring elements of many curricula remain chronological period and geographical region. In practice, in the archive, the most meaningful chronological and geographical frames depend on the question you happen to be asking. For example, people didn’t wake up one day and switch from manuscript (handwritten) books to printed books; nor did everyone wake up one day in sixteenth-century England and decide to break away from the Church of Rome. Similarly, major historical phenomena did not unfold exclusively within today’s national boundaries or conventions of continental boundaries. One can teach students how to think deeply and analytically about the past, and about its continuing ramifications for the present, through questions and themes that transcend period and place, worked out through careful and detailed study of how particular things and places change over time. Understanding the relevance of historical thinking and knowledge to the present and to questions that transcend later geographical boundaries, and acquiring a deep body of knowledge, are not mutually exclusive curricular goals. I’m not a collector; I’d sooner consult collections that other people have assembled and are carefully preserving in libraries, museums, and archives. I did, however, collect half a dozen H. G. Wells first editions as an undergraduate, at an outdoor market in Cambridge, England; the experience of owning them was unexpectedly underwhelming, although they were (fortunately) worth more than I had paid for them. I do have a collection of everyday children’s books, mostly published in the UK by Penguin/Puffin/Dragon between the 1950s and 1980s – such stylized cover illustrations, beautiful prose and distinctive plots! – which I assembled as an adult, entirely for my own reading rather than for the sake of forming a collection. The last year of writing my first book has been the most rewarding experience in my career so far. I was lucky enough to spend eleven months in Washington, DC, as a fellow at the Folger Shakespeare Library and at the Library of Congress for part of it, and teaching two courses online for a semester (thus remaining in DC between a fall semester fellowship and a summer fellowship). I spent the year making the 400pp book manuscript better: adding things, improving the argument, making the writing clearer, getting feedback on chapters from friends and mentors and incorporating their suggestions. I had a great group of fellow fellows at the two libraries: we went on endless walks, visited museums, cooked and ate well…. There was even a piano in my apartment (I had played seriously enough as a child to contemplate music school before college), and one of the other fellows was a composer and musicologist. I was thus able to play, to compose, and to go to several concerts a week (there are so many free ones in DC, plus all the free tickets my composer friend used to get). It was not the easiest year of my life – finishing a book is not easy! – but the combination of lifting and revising the book, cultural life, friendship, and sending the book into production at the end was wonderful. One of the most frustrating things about my career has been how slow the academy’s hiring process has been, and continues to be, in coming to terms with the importance of work that transcends the disciplinary, geographical, and temporal boundaries established two hundred years ago. Many questions straddle the chasms between these divisions, as did past lives, events, trading routes, and ideas; there is much exciting work at the cutting-edge of the field. As the present becomes ever more entangled on a global scale, it becomes urgent that the discipline expands its visions in the context of hiring the next generation of historians. My PhD is less than a decade old, but I have noticed a number of changes. Many more dissertation projects transcend geographical boundaries and traditional disciplinary divides. No individual can do everything, and much has been learned within the disciplinary framework of the past couple of centuries. Nonetheless, the past doesn’t happen within disciplines: it spills everywhere – life spills across space, time, peoples, cultures, activities… Only by asking questions and following them wherever they lead – even when they take you beyond the traditional historian’s purview of ‘written documents from X archive about Y country’ – can you make the most of the sources that survive. An increasing number of historians are drawing on visual, oral, and material sources. In the US, there has been a welcome expansion of interest and support for scholarship on Latin America, Africa, Asia, and the Pacific, regions that have traditionally received short shrift in comparison to the study of the US and Europe. At the same time, the reduced attention given to the pre-modern (say pre-1800) world, including pre-modern Europe, is troubling. Why? You cannot understand the structure of the world we live in without starting at least half a millennium ago. Europe was multicultural two thousand years ago and more; human populations had been travelling for many millennia before that; neither human migration nor cultural intermixing are anything new. I’ve come up with my own, something that encapsulates the words of my dissertation advisors: ‘If this is the question, then at what sources should you be looking? And if these are the sources, then what questions can you most meaningfully ask of them?’ If we are to better understand the past, then it cannot be contained by either a question or a source alone; rather, there is a call-and-response relationship between questions that pique your interest and the sources you look at – and very quickly both start to spiral out into rich and messy stories. That was certainly the case with my first book, Renaissance Ethnography and the Invention of the Human: New Worlds, Maps and Monsters (Cambridge UP, 2016; paperback 2017). When I started the dissertation I thought I was writing about the intersection of the history of reading and the history of knowledge-making. By the time the dissertation became a book, it was about the ways in which early modern Europeans were forced to re-imagine what it meant to be human in response to the visual arguments made by mapmakers who carefully synthesized information from travel accounts onto gridded maps which constituted new forms of knowledge about the world’s peoples. By analyzing manuscript and printed maps alongside prints, natural histories, geographies, costume books, and travel writing, I argued that new mapping techniques made the idea of monstrous peoples deformed by nature central to the category of ‘human’. In an age when scholars, missionaries, native peoples, and colonial officials debated whether peoples of the Americas could – or should – be converted or enslaved, maps were uniquely suited for assessing the impact of environment on bodies and temperaments. By revealing that map illustrations were scientific diagrams rather than fantasies, this book showed the centrality of spatial thinking for early modern science, and urged an expansion of the sources via which scholars study the prehistory of race. Is this a story about Europe, the Atlantic world, the history of science, the history of art, the history of maps, biology, or geography….? I would say that it is all of them at once, and no less of one for being the other. Interdisciplinarity is not about the margins of one discipline or field intersecting with the edges of another in the manner of a Venn diagram; rather, it is about questions that sew together issues at the heart of one discipline to those at the heart of the next. I’m working on my second book project. It sits at the intersection of cultural and intellectual history, history of science, and art history. Collecting Artifacts in the Age of Empire: Spaces of Disruption, 1550-1725 pursues the impact of New World artifacts on European science and medicine, examining the influence of overseas artifacts and knowledge that entered northern European cabinets of curiosities. Cabinets were epistemic installations: collections organized to generate knowledge and particular effects, strengthening some ideas about objects while eliding others. I am exploring the ways in which cabinets were conduits via which indigenous technical expertise and natural knowledge disrupted notions of the relationship between nature and culture, and shaped the disciplinary formations of biology, aesthetics, and anthropology. Inventing Europe required peoples who seemed not to shape nature; Collecting Artifacts offers a provocation to today’s essentialist approach to culture and to the perception of technology as an Old World invention. Skeins which extend from this project into the present also embody a conduit to public policy. Understanding the origins of classificatory systems is a prerequisite for decolonizing museums, providing context for interventions in debates on restitution, curation, and conservation.